A set of cool new Android-related Google Search functions made their debut this week, which will allow you to locate your phone, send directions to your mobile device, set alarms and reminders, and send notes from any web browser. These new features will require that you have Google Location History enabled on your Android device, as well as Web and App Activity, but beyond that, it's about as simple as it gets. If you've ever searched for directions to a location with Google Maps only to hop in your car and realize you don't remember every turn, then this first tip is for you. 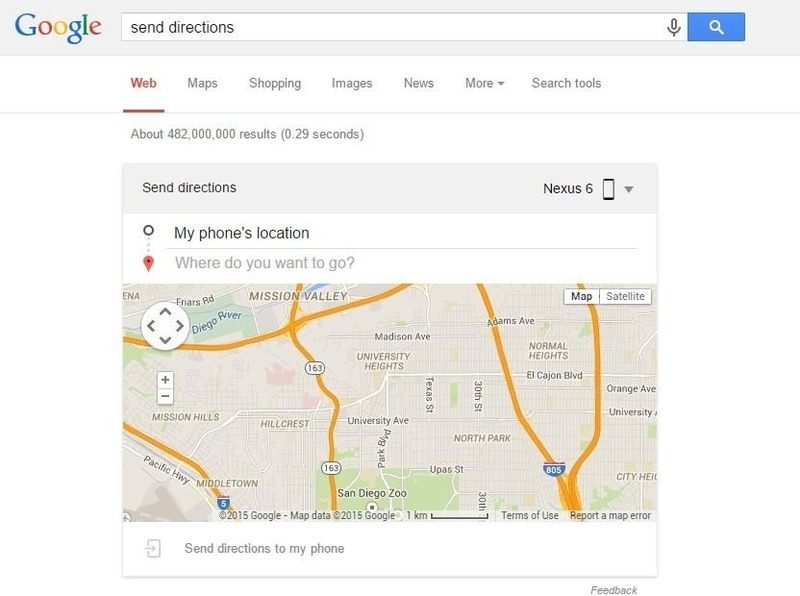 Just head to Google.com from any web browser (or simply use the address bar in Chrome), then type "Send Directions." A mini-map will pop up, with a field asking "Where do you want to go?" 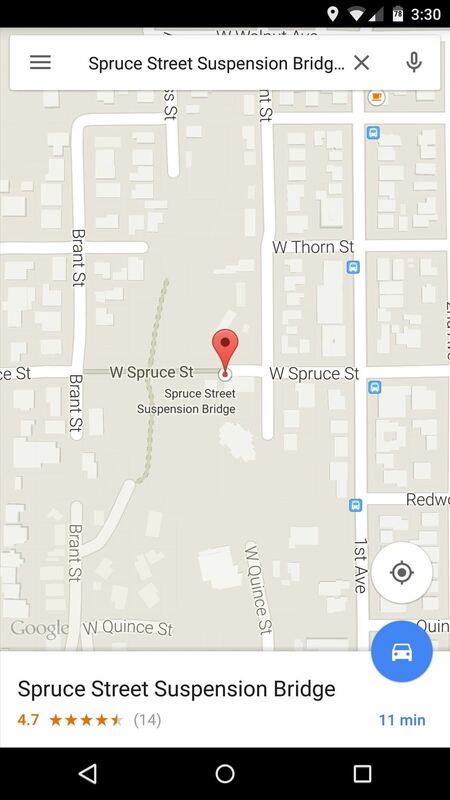 Simply type in the address or name of the location, then click "Send directions to my phone." 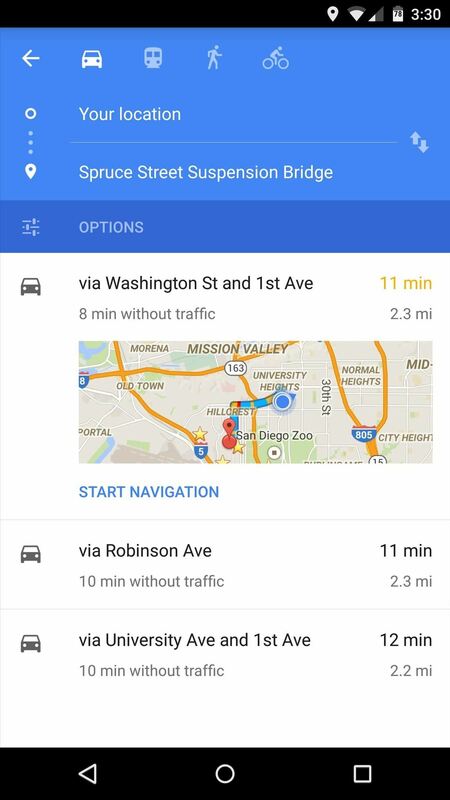 Almost immediately, the Google Maps app on your phone or tablet will launch automatically, with directions to the location already queued up. Last year, Google debuted a service called Android Device Manager that allows Android users to easily locate, ring, and wipe their device should it ever be lost or stolen—but this new feature makes it easier than ever. 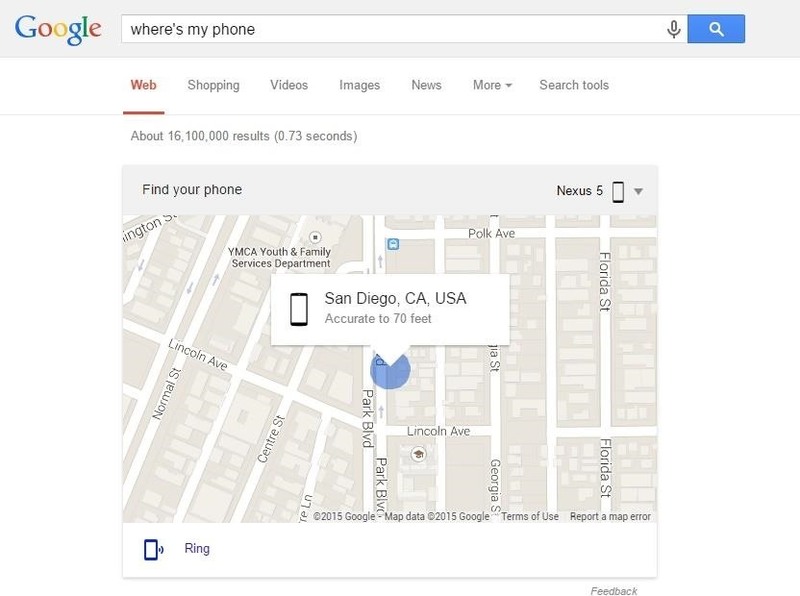 Again, head to Google.com from any web browser, but this time search "Where's my phone." Within a few seconds, your device's location will be displayed on the mini-map, and there's even an option to ring your phone in case it's lost in a couch cushion. For the folks that like to keep things organized, there are a few more Google Search functions for Android that will help with creating alarms and setting reminders. 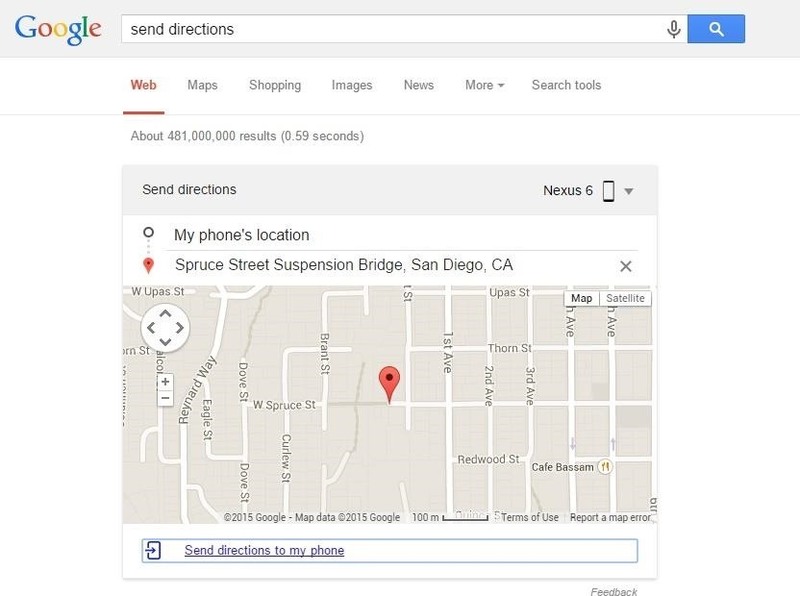 First, to send yourself a note, perform a Google search of Send a note to my phone. The top result will be a box with a field that lets you quickly type out a note, which can then be sent over to your phone. 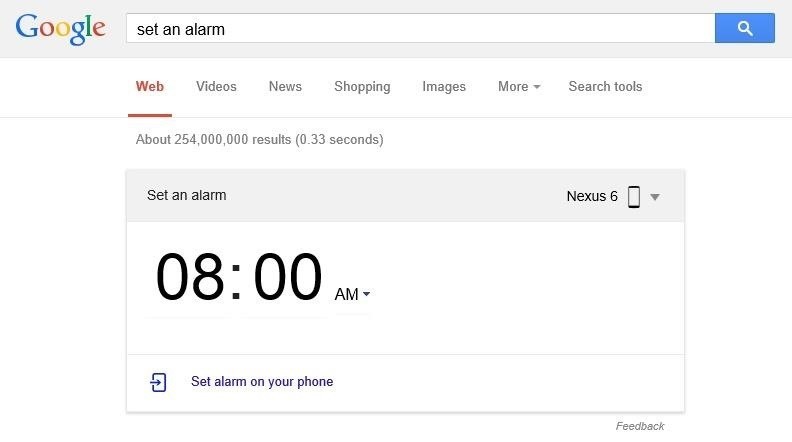 To set an alarm on your phone remotely, just type Set an alarm into Google Search. This will let you select a time for your alarm, and after clicking the link at the bottom of this box, the alarm will be set on your phone. For a hybrid of these two features—essentially an alarm with a note attached—type Send a reminder to my phone. 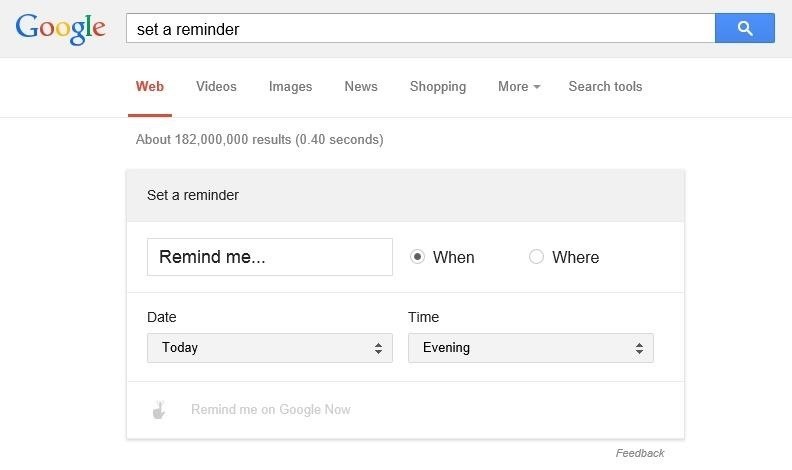 Fill out the fields with your reminder and the time, then you can quickly send this over to your phone, where the notification will show up in Google Now. Which of these new features do you find more useful? Let us know in the comment section below. Hm...this so does not work on localized google, e.g. google.bg :( Or could it be that it only works on Chrome? I just tried all of these in Firefox, Safari, and Chrome and they all worked. As far as top-level domains go, it could be that. I tried google.bg and could only get "find my phone" and "set a reminder" to work. I love it!! Just sent a note to my phone and used locator to find the phone! This is just super cool. I'lol be sending notes to myself all day from my work computer.